Microsoft Excel Training - Atlanta, GA and Online | Basic through Advanced, VBA, Pivot Tables, etc. Are you harnessing Excel's full power? Despite being one of the most opular software applications in the world, most users are only using 20% of Microsoft Excel's features. Anyone can teach from a manual. What we offer instead, is hands-on instruction by Excel experts who really want each student to maximize their productivity. Our hands-on knowledge of Excel tips and shortcuts means we can show students how to accomplish tasks in the least amount of time. 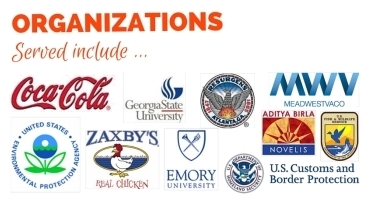 For information on our Excel courses, please call 770.498.7333 or click here to send an email. For information about topics and upcoming classes, please click the link for a particular class. Do you need customized or standard training planned around your department's schedule? Then our on-site training is for you. When we say we work around your department's schedule, we mean it. We will even work with manufacturing companies that need training at night, and offer full or partial days of training. Do you have employees who work remotely or in other locations? Our live, online training is for you and limited to 8 students. This enables students to attend from the comfort of their home or office. I loved the interaction going from instruction mode to hands on mode capitalizing on practice tools in the course. The best thing about her class is that she knows how to deliver her knowledge in a format that anyone can understand and comprehend. If your organization does not have 4 or more students (the recommended level for an onsite class), you get the same benefits of expert-level attention by sending students to one of our scheduled public classes. If you have fewer than 4 students and would still like an on-site training proposal, please complete one here. 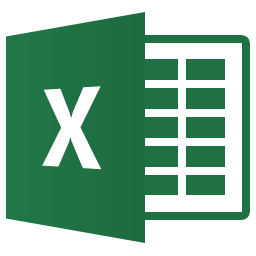 Thanks for the personalization of the Excel class - it really helped me ... Jackie is professional, keeps up the pace without pushing, is very knowledgeable about the subject, and is friendly. Can't attend our public classes? Want us to bring Microsoft Excel training to your site? We offer affordable, customized MS Excel training for groups of as few as 4 people. Contact us or call 770.498.7333 for details. I highly recommend the Excel ... class to anybody who wants to learn ... Excel. Jackie teaches the class at a pace that is enjoyable. You can learn a lot from this class even if you have never seen Excel before. Learning how to use Excel spreadsheets has enabled me to record and interpret data in a MUCH FASTER and more efficient way. I had been putting off how to use Excel, and Jackie greatly relieved my anxiety by showing me the ropes of Excel and making it easy for me to learn. Ms. Kiadii helps business professionals use technology to save time, lower costs and increase productivity. Since 2001, she has provided customized software and digital marketing training for thousands of business professionals.